Yesterday, the United States celebrated Memorial Day, a federal holiday to honour and remember those who died while serving in the armed forces. 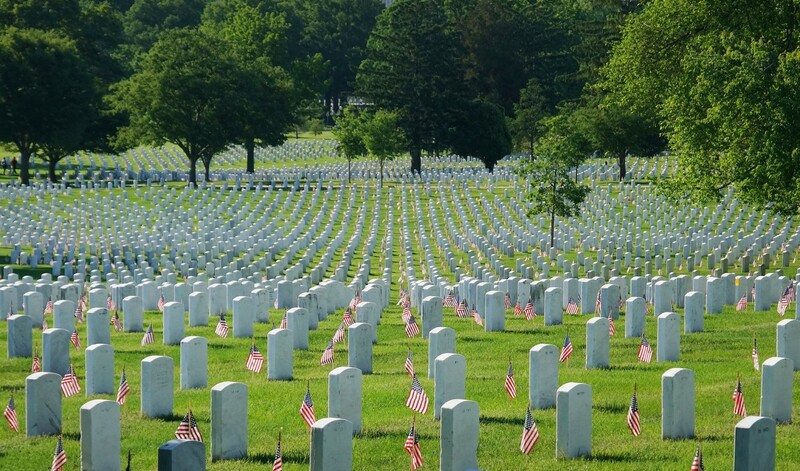 In order to commemorate the event each year, a number of service men and women place flags in front of headstones at Arlington National Cemetery. Image borrowed from The Washington Post. While I have my own personal connections to Arlington, one thing that I’ve always appreciated about the cemetery itself is the way in which the U.S. Department of Veteran’s Affairs and the Cemetery Administration have made efforts to ensure all individuals interred there are represented in equal fairness according to their religious beliefs. While this is a somewhat new development, coming after a 2007 decision to permit the placement of a Wiccan symbol on Sergeant Patrick Stewart‘s headstone, the VA’s policy has become quite open to religious diversity. 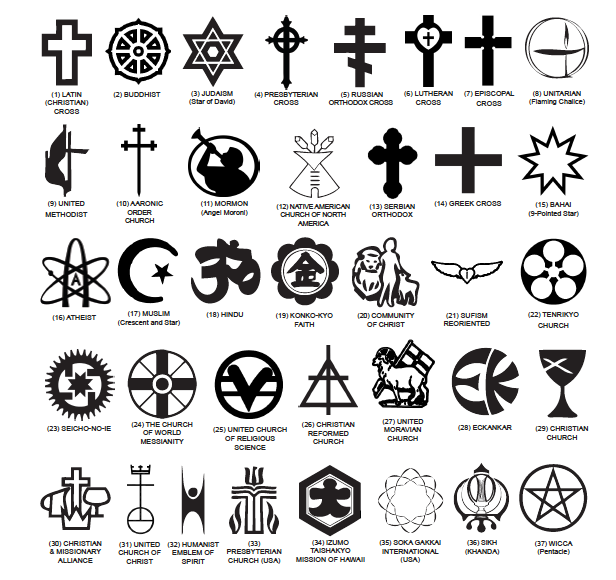 The religious emblems are chosen by either the interred, or their family, based on a list of approved symbols. As well, the headstone may be placed with no symbol, or with one not on the list as long as it meets approval by the Department of Veteran’s affairs. Sergeant Stewart’s Wicca symbol is an example of the latter. Some of the most recent additions are the Atheist symbol, the Humanist emblem of Spirit, the Infinity symbol, the Hammer of Thor (Mjölnir), and the Sandhill Crane. This does not, of course, mean that these are ‘special’ or ‘different,’ but rather that they represent a further acknowledgment on behalf of the Veteran’s Affairs office of the religious diversity represented by all American citizens. Additionally, it should be noted that these changes occur without announcement, and the Cemetery Administration keeps the details about the emblems displayed, and the individuals for whom they are displayed, confidential. In fact, the information we do have about them comes from the families of those interred, via those more curious about their meaning. Some of these sources are cited below. I would argue, then, that the Arlington National Cemetery, as well as the 147 national cemeteries maintained by the Veteran’s Affairs office, provides for us an exemplary source with which to determine and research the religious diversity of the United States. 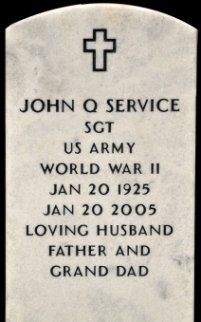 Upon each headstone is a list of identifying information, so that not only do these lasting memorials provide for us contextualizing data about when an individual lived and died, their rank, or the wars during which they were active, they offer us as well an insight into the way they defined themselves religiously. Observing this personal insight affords us a number of routes through which to approach the meaning of ‘religion’ in the American context. Whether that means that this particular data supports the theory of a distinct American religious economy, or that there is in fact a strict delineation between a ‘religious America’ and ‘secular Europe,’ as discursive devices these emblems represent a distinct language-use that signifies not only the identity of those for which they represent, but a revered acknowledgement that not all individuals in the United States identify as religiously similar. Which further means, they discursively describe an identity in symbolic form, each image representing a signifier that we might utilise in order to make sense of their unique usage. That is, each emblem is also a lasting monument to what each individual believed, which we might then use to guide our efforts in understanding how and why they believed, what they believed. 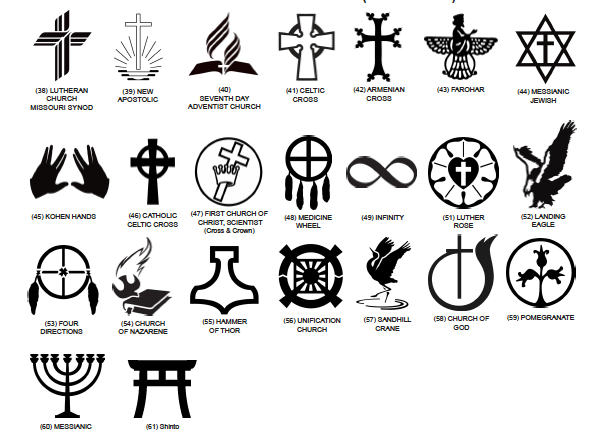 This does not mean, of course that these 61 approved emblems in any way represent a complete list of each and every American religious identity. Nor that they represent the only emblems accepted by this aspect of the American government. As we have seen, the list is growing, and as more and more individuals advocate for more and more diversity, it becomes a much more complex example of the various ways in which the signifier ‘religion’ is filled with meaning. In a more theoretical capacity, then, these emblems serve to remind us that defining a term like ‘religion,’ beyond any well-determined context, or in a broad or general manner, is a much more precarious undertaking than it might initially seem.